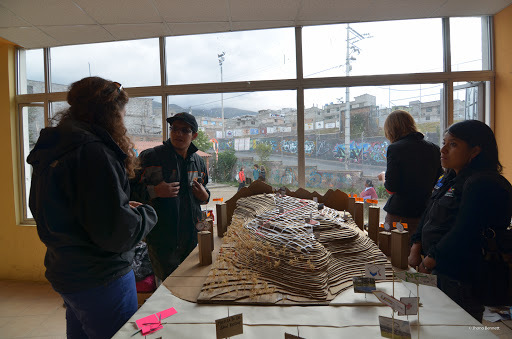 In 2013 I secured funding from the University of Johannesburg under Dr. Amira Osman to attend a 2 week workshop with Architecture Sans Frontieres – United Kingdom (ASF-UK) in Quito, Ecaudor. 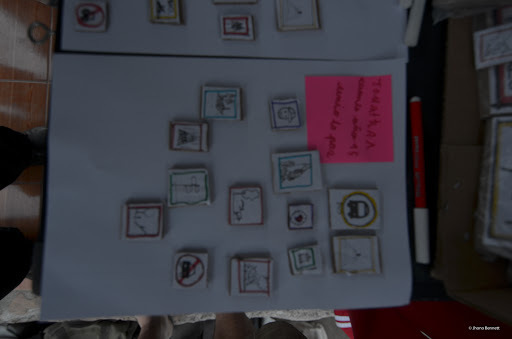 The workshop forms part of the Change by Design Programme developed by ASF-UK and tested in several contexts including Brazil and Kenya. 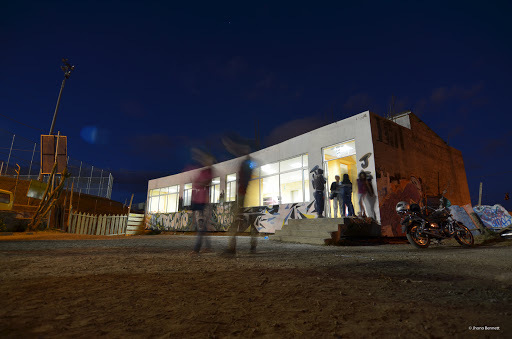 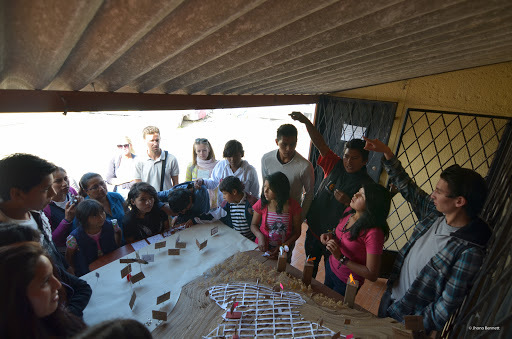 The programme applies a holistic and multi-level approach to participative design in vulnerable contexts and seeks to support local stakeholders through its mechanisms. 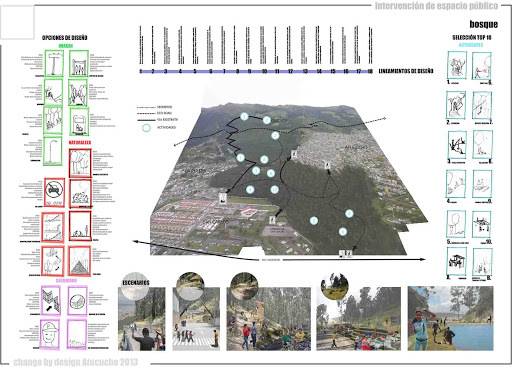 As well as here: Los Pinos Group Article. 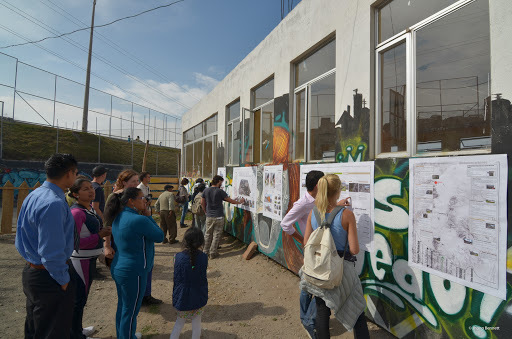 “For the 4th installment of the Change-by-Design workshops, ASF-UK is teaming up with a coalition of Ecuadorian architects, community organisations, activists and academics to develop design ideas for the “Buen Vivir” neighbourhood, that can inform and help shape the Urban Revolution Agenda or ‘Revolución Urbana’ in major Ecuadorian cities in 2013. 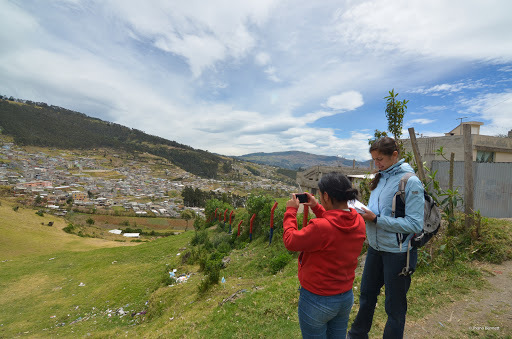 The Buen Vivir concept, meaning ‘Good Living’ (or sumak kawsay in Kichwa) is an indigenous philosophy that advocates for social organisation, collective wellbeing, and new ways of engaging with people and the environment. 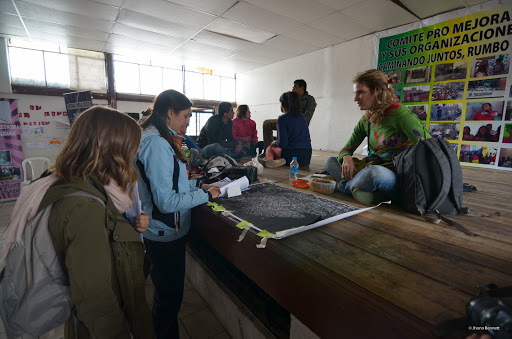 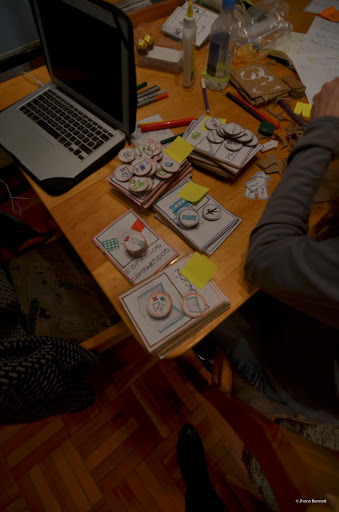 Building on participatory design tools developed in previous workshops in Brazil & Kenya, we will be using the Buen Vivir concept to design an upgrading plan for the community of Los Pinos and a series of project proposals for the Community of Atucucho. 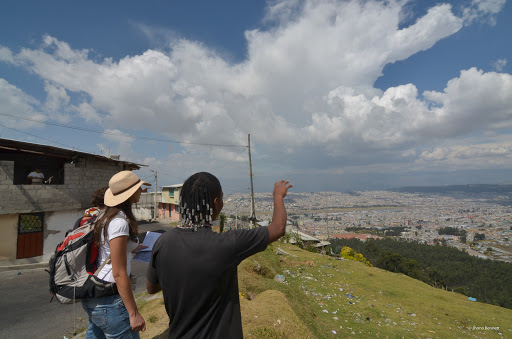 The workshop will also engage Ecuadorian students and professionals alongside the international participants, and will host a city-wide symposium and several visits to other organised informal settlements. 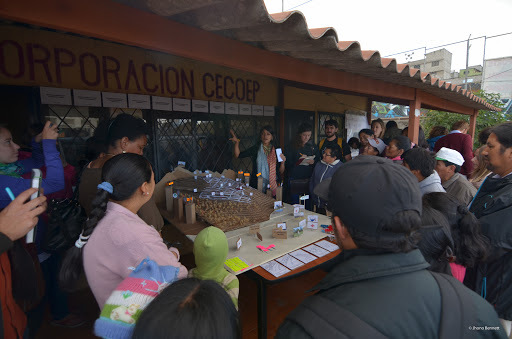 The workshop brought together 40 practitioners on the project and divided the group into a Los Pinos and Atacuho group, then into the 4 focuses: Policy & Planning, City, Community and Dwelling. 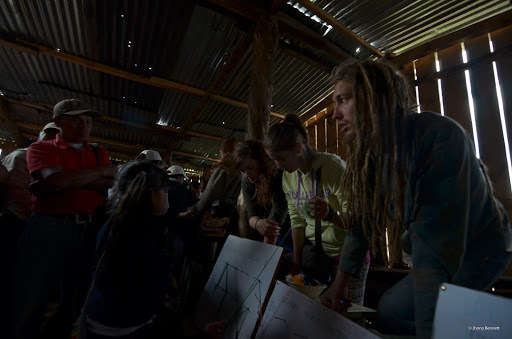 The first few days were spent visiting the sites and receiving critical input from various experts. 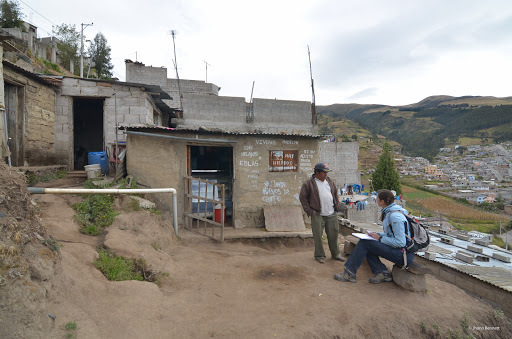 I was assigned to Atacucho, and the community focus group. 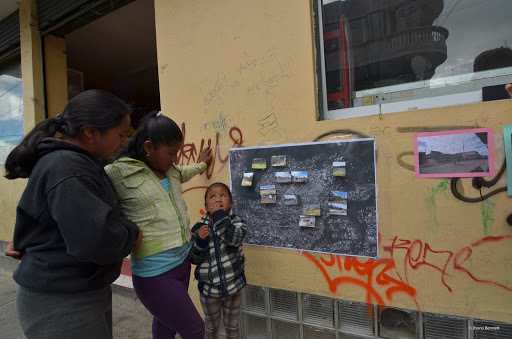 We were tasked with beginning an immersive critical mapping process with various community groups from the Atacucho Neighborhood. 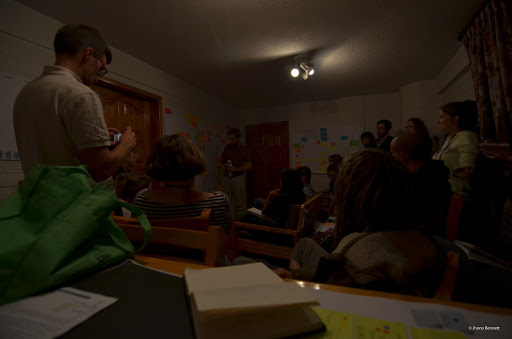 Each day, we carefully documented and planned the following day with the various teams in order to work towards the agreed outcomes decided by the project organisers and local stakeholders. 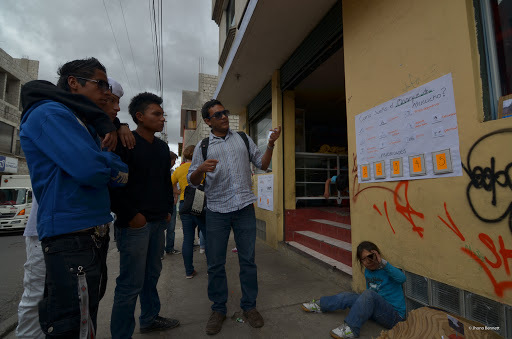 We developed various tools to engage with the youth group in Atacucho, and prototyped ‘Atacuchbook’ as a way to collective data. 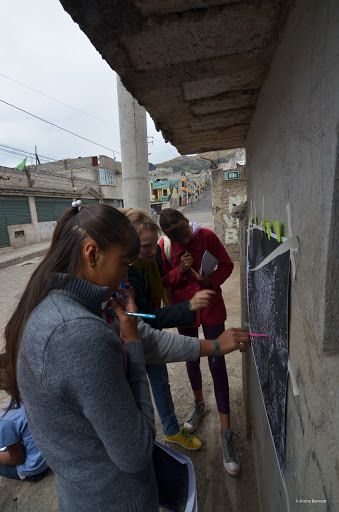 This process of mapping, researching and documenting was the foundation towards determing the next set of workshops where we would share these findings and gather more nuanced and subjective findings. 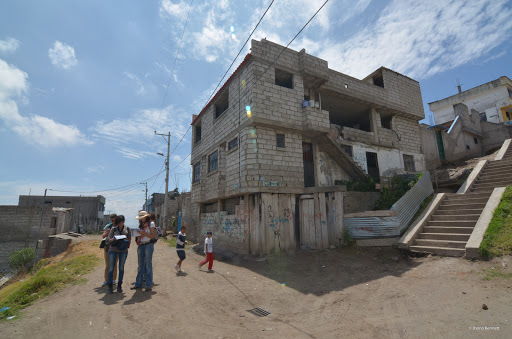 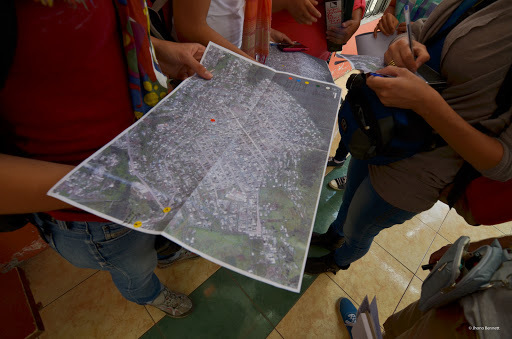 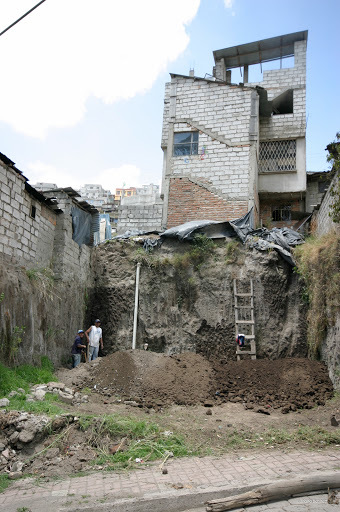 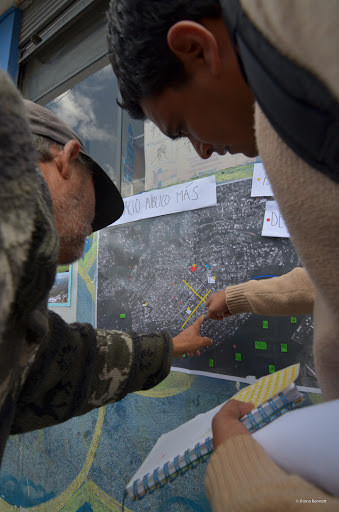 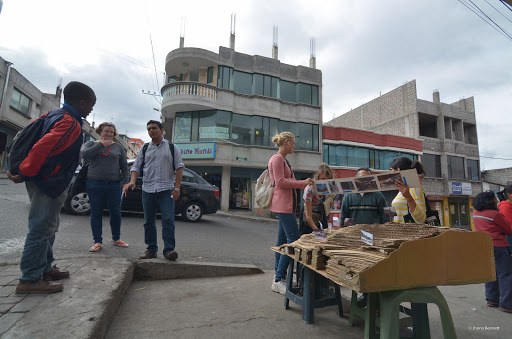 Our team set about building an interactive site model, as well as creating a series of exercises to uncover information from the broader Atacucho Neighborhood. 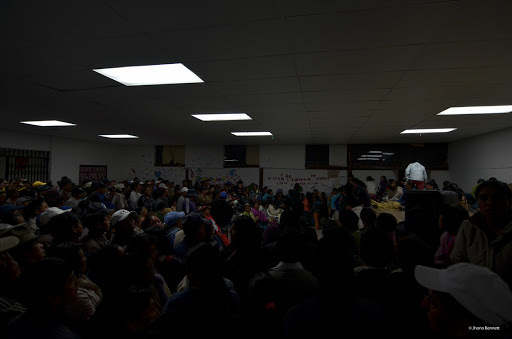 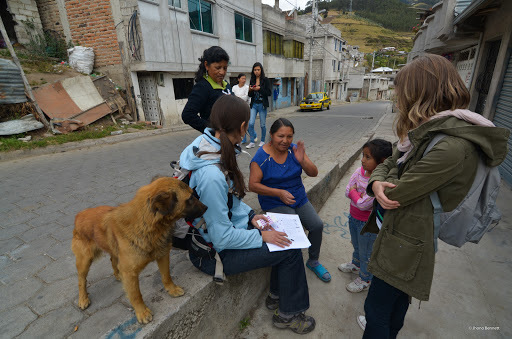 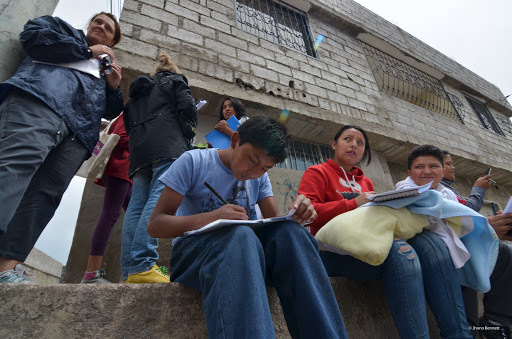 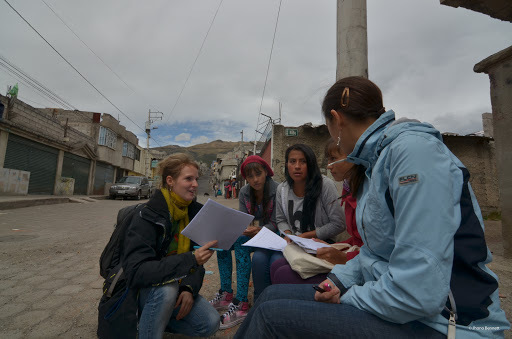 This set of exercises was conducted in various locations including the street corner to broadly engage with as many groups, ages, gender and cultural sects within Atacucho. 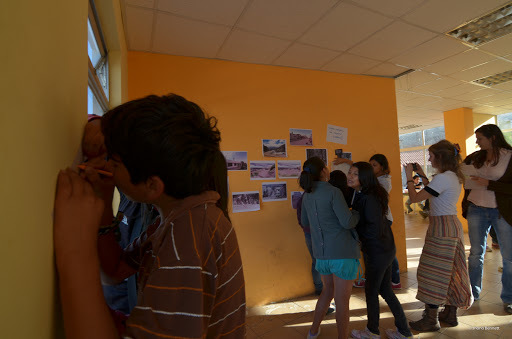 We continued this set of exercises to spread the net of engagement as wide as we could, and adjusted some of the questions based on the initial process. 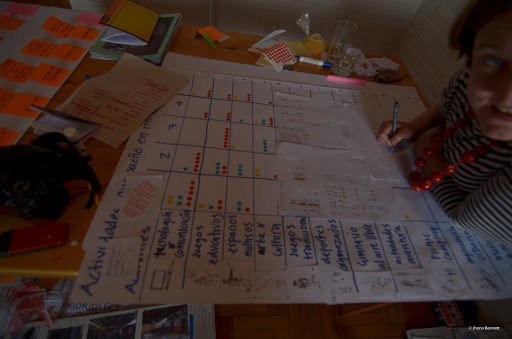 Armed with this data, and a restful weekend, we set about creating the next series of interactive exercises to work through with pre-arranged focus groups. 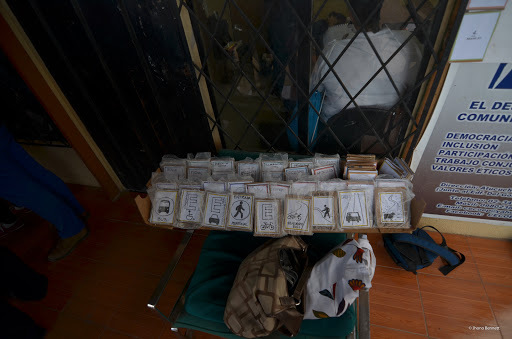 These exercises had us manufacturing and designing simplistic ‘games’ that allowed us to capture the subtle nature of people’s ‘vision’ for the neighborhood. 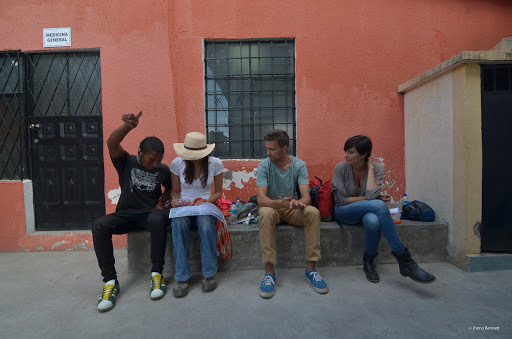 After this intensive two week process, we gathered all the data and the findings and developed a set of ‘recommendations’ that we shared at the local youth centre as part of the initial hand over process. 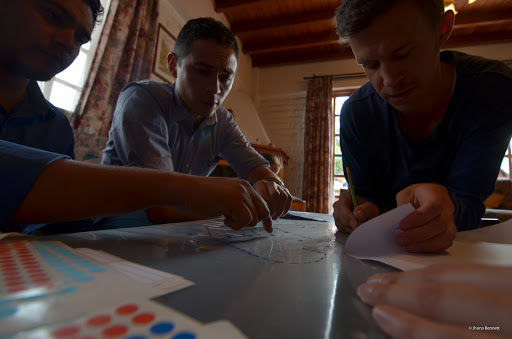 The workshop made allowance for a set of interns to remain after this engagement to further develop these with the stakeholders over a six month period. 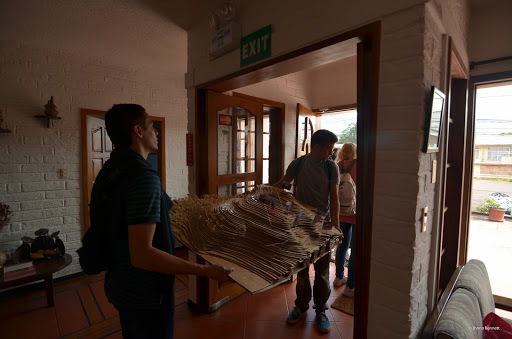 This took place in both Atacucho as well as Los Pinos and was the culmination of a very intense 2 week process. 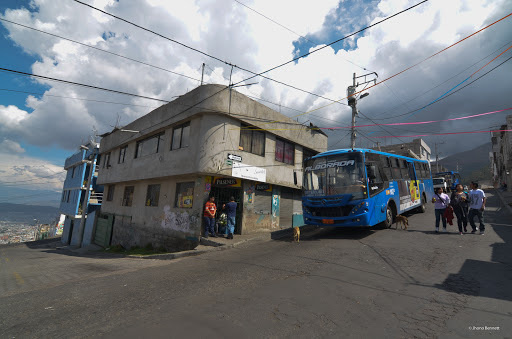 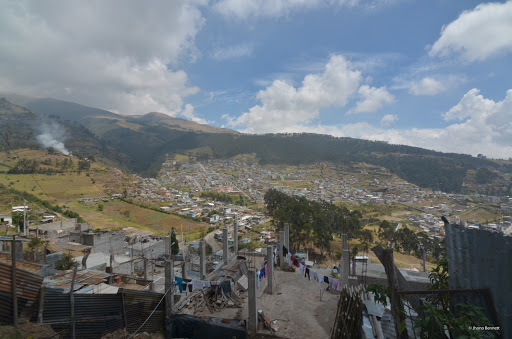 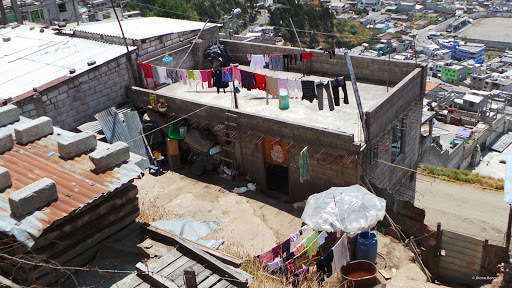 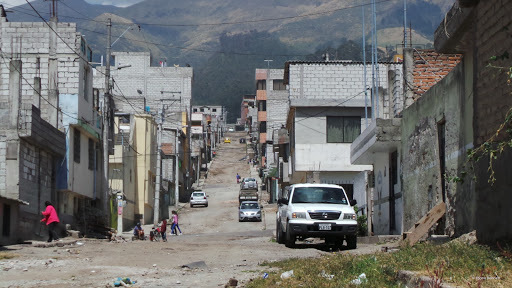 Quito reflects many parallels to South African cities, and offered some interesting aspects of social cohesion in the ‘mingas’ (social work parties) that allowed government tactical ways to recognise ‘community’ and work through towards development. 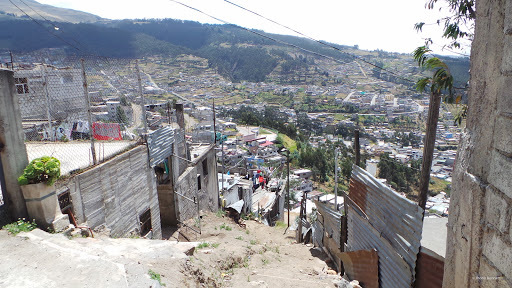 The workshop exposed me to a highly rigorous and complex process that truly engaged with the complexity of vulnerable urban residents, while allowing me to part of a process with no expectation of leadership. 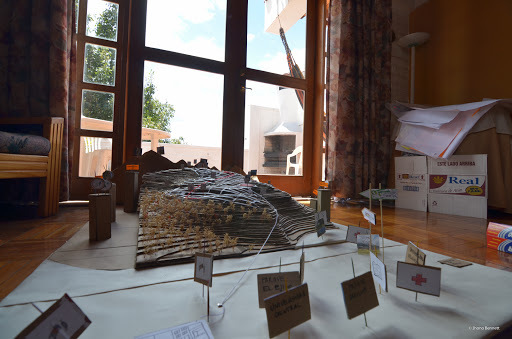 I feel there is much I will take forward with me into my work in South Africa.